A longtime aide to Sen. Kamala Harris (D., Calif.) resigned from her office Wednesday following inquiries about a harassment and retaliation lawsuit he settled while working for Harris when she was California's attorney general. Harris' office claimed it was unaware of a lawsuit filed in December 2016 by Danielle Hartley against Larry Wallace, who was director of the California Justice Department's law enforcement division under Harris. At that time, Harris had just been elected to the U.S. Senate and was preparing to transition to Washington. "We were unaware of this issue and take accusations of harassment extremely seriously. This evening, Mr. Wallace offered his resignation to the senator and she accepted it," Harris spokeswoman Lily Adams wrote in an email to the Sacramento Bee, who broke the story. The lawsuit was settled in May 2017 for $400,000 by the department under Xavier Becerra, who was appointed state attorney general after Harris went to the Senate. By this time, Wallace was working as a senior adviser in Harris' Sacramento Senate office. Hartley also complained in the lawsuit that Wallace took away her "meaningful tasks" and put her in charge of running personal errands instead, including booking flights for Wallace’s children and washing and performing maintenance on his car. When she would return from these assignments, the lawsuit states, "co-workers would make hostile comments to her including, ‘Are you walking the walk of shame?’"
According to the lawsuit, Hartley eventually informed her supervisor, Shannon Patterson, of the harassment and asked for help. "Hartley observed Patterson enter Wallace’s office and met with him behind closed doors," the lawsuit states, but after that, she began to experience retaliation. In settling the lawsuit, the department still denied Hartley's claims. Becerra said he and two of his deputies took "reasonable steps to prevent and correct workplace harassment" and properly trained Hartley in how to respond to harassment. She "unreasonably failed to utilize the procedures during the period of time, and after, the alleged harassment or discrimination was occurring," Becerra wrote. "Had Plaintiff taken reasonable effort to utilize these procedures Plaintiff’s alleged harm, injury or damages would have been avoided, in whole or in part." Amanda Renteria, who signed off on the settlement as Becerra's chief of operations at the time, said it wasn't clear if Wallace's transition to Harris' Senate office was tangled up with the lawsuit. "Most folks that were connected to Harris went with Harris," Renteria said. 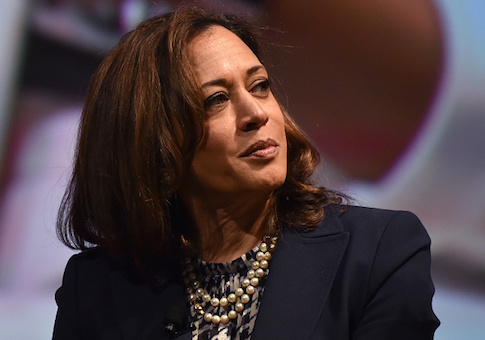 Harris is one of numerous Democrats mulling a White House bid in 2020. She's said she will make the decision on whether to run over the holidays after consulting with her family.